Invest in Your Child's Education, Invest in Collinswood! dollars do not cover. 100% of the money raised goes directly to our school. 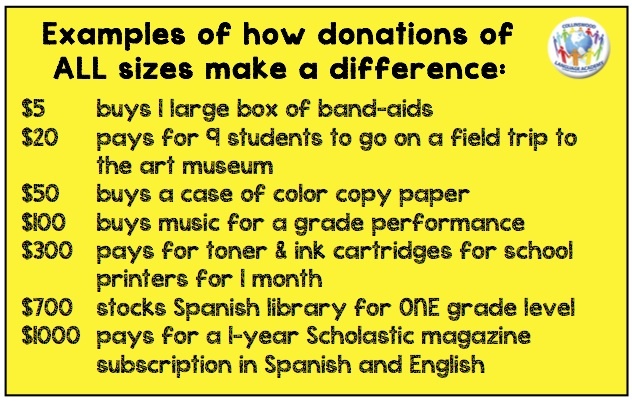 with a donation in any amount - every dollar counts! We are asking you to give what is possible and meaningful to your family. Consider giving 1% of your income to support this amazing public school. We encourage you to ask relatives, neighbors, or friends for their support using this form. Remember to find out if your place of work will double your donation. We also offer a way to solicit sponsorship from businesses, email Zana or Sherry to request that information. To donate, send a check made payable to the Collinswood PTA to the address below. 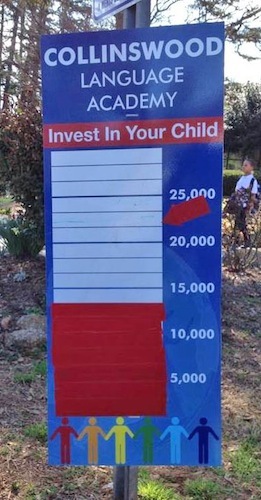 Note Invest-In-Your-Child in the memo. IN YOUR CHILD and COLLINSWOOD! !